This guide will demonstrate how to add custom fields to a WordPress Menu Item and how to then modify the Menu Item’s HTML. Menus are used to organize a group of links (menu items) for your theme to display as navigation. If you are unfamiliar with registering or editing a Menu, please read the WordPress Menu User Guide and Navigation_Menus documentation. Menu Items are added to a Menu. Learn how to add fields to Menus. The Advanced Custom Fields plugin makes it very easy to add custom fields to a Menu Item, please follow the steps below. 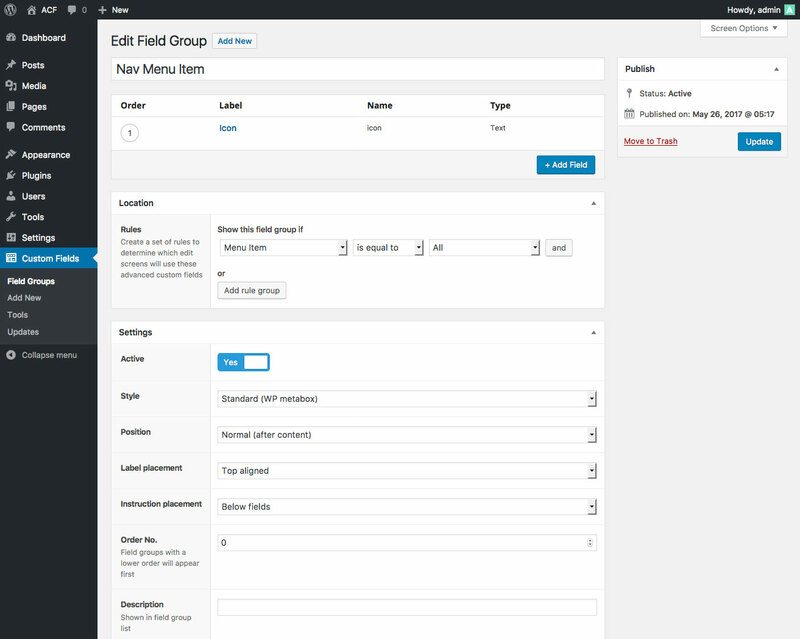 From the Custom Fields admin screen, click the Add New button to create a new field group. Change the Instruction placement setting to ‘Below labels’ to best mimic the WP core UI. Once you have created a field group and assigned it to appear for a Menu Item edit screen, editing the field values is done by navigating to the Appearance > Menus admin page. 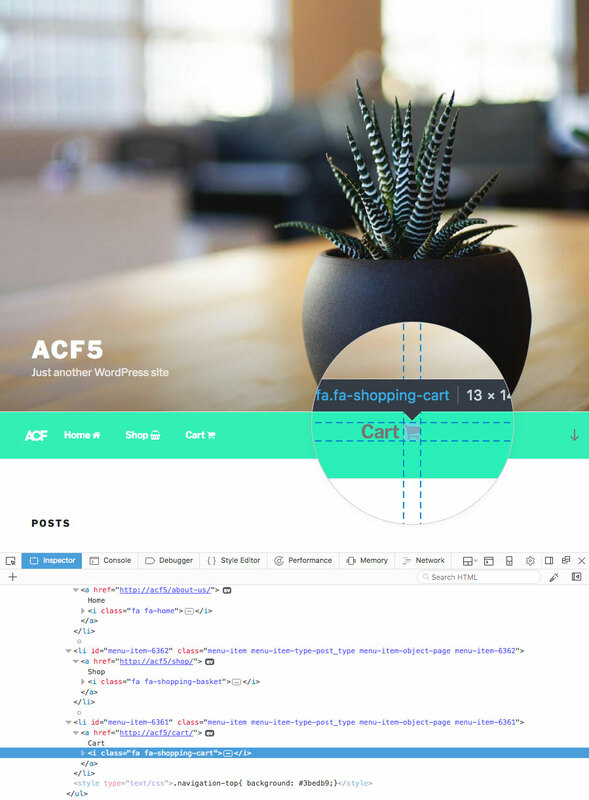 WP stores each Menu Item as a post object in the wp_posts table. ACF will store all custom field values in the wp_postmeta table. 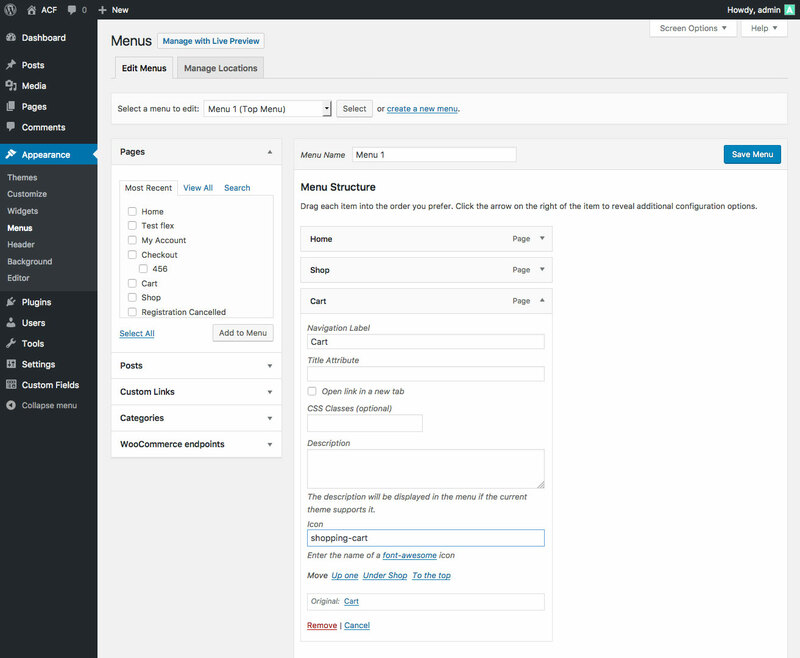 Customizing the HTML for a WordPress Menu Item can be easily done via the wp_nav_menu_objects filter. This filter is run each time a Menu is rendered (via the wp_nav_menu() function) and allows you to modify the Menu Item objects. Each object contains a title value which is output in each menu link <a> element. This example shows how to modify all Menu Item objects and append an icon if a value exists for the new ‘icon’ field. Here is a look at how this may look in your browser. Notice the new icon <i> elements!